The stylish 470mm wide Fresco Rectangular under counter basin with no tap holes, designed to be fixed to the underside of the worktop. 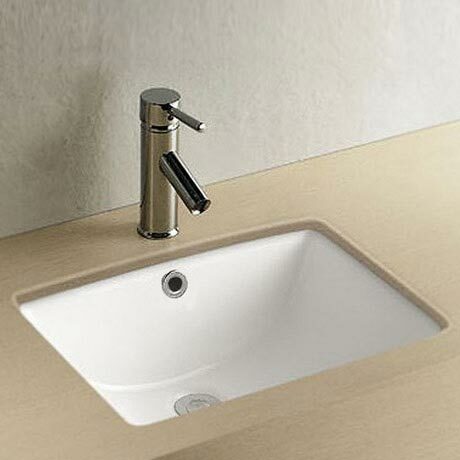 Manufactured from quality ceramic with a beautiful white gloss finish. "Perfect for what we wanted. Nice and compact, well glazed and nice looking. This is going into our camper van so we needed something more compact and this was perfect."